No light has yet been shed on Naomi Osaka’s decision to sack her coach right after winning the Australian Open – but it has exposed a hidden steel in the tennis star. That’s the opinion of leading US tennis writer Jon Wertheim, who tackled the strange split in his Sports Illustrated mailbag. Osaka announced that she had parted ways with Sascha Bajin on Tuesday (AEDT), less than three weeks after winning the Open and claiming the world No.1 ranking on Australia Day. She had also won last year’s US Open under Bajin’s watch. Wertheim said that the outwardly-mild Osaka had made a statement about her personality with such a swift dismissal of her coach and hitting partner. “To me, the real story is Osaka. In releasing [today’s] statement she made a more abstract statement as well,” Wertheim wrote. Wertheim said oddly-timed coaching changes were common in tennis – often because success was actually counter-productive for mentors. “In times of success, the player often wonders, ‘What do I need him for? I achieved this. I did the hard work. Now I am paying him this fat bonus. And he is taking credit?’” Wertheim wrote. And perhaps we really should have seen the split coming. There were signs. 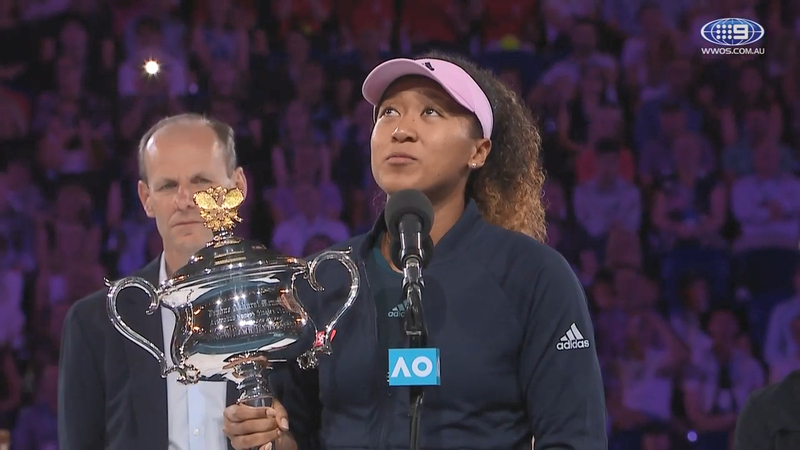 Osaka did not specifically thank Bajin in her victory speech after winning at Melbourne Park. He was referred to merely as a “hitting partner” in a celebratory Instagram post. The Japanese superstar also gave a curious response when asked about Bajin in the post-match press conference. Q: For the second Grand Slam final of your career, what kind of things did you talk about with Sascha beforehand? A: "I didn't talk to him (smiling)." A: "I don't know. Yeah, no, like, we haven't really been talking, to be honest, like before any of my matches here. He would tell me, like, one thing, then I would be, like, OK. That was it." Those remarks are in stark contrast to what Osaka said about Bajin during her US Open run, where he was hailed as a vital influence within her camp. "He tries to make every day really fun and exciting," she said. "For someone like me, that sort of thinks sometimes things are boring, that's good for me. I fight myself a lot, so he's sort of been, like, the peacemaker." Bajin also said that he believed in longevity between player and coach. It was not to be. Japanese media outlet Nikkan Sports reported that Osaka and Bajin may have fallen out as the Australian Open drew on, clashing over ideas. Osaka reportedly trained without Bajin at times, and only briefly in other sessions. Meanwhile, veteran The Guardian tennis writer Kevin Mitchell had a fresh theory. “Another suspicion is that the beguiling Japanese prodigy could have suffered an early dose of the celebrity virus, after rising 72 places in the rankings in less than 12 months and being paraded as the bright new face of tennis, with endorsements showering down on her after winning her second slam title,” Mitchell wrote. “Whatever the reason, it will be a nailed-on certainty it was Osaka’s call. While these jobs are nowhere near as glamorous or well-paid as fans might imagine, they pay the rent and there are only a few available at the top of the game. It is implausible that Bajin was the one to walk. Writing for Deadspin, Laura Wagner said the lack of any explanation was curious. “Professional tennis, like other sports, can be an incestuous bubble in which players and coaches constantly cycle through each other, but the pool of candidates generally remains the same,” she wrote.